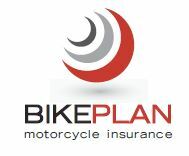 BikePlan CycleLife is a motorcycle credit protection insurance that protections you in the event of death, disability, dread disease and retrenchment and is underwritten by The Hollard Insurance Company Limited (an authorized FSP). Death – An amount equal to the aggregate ‘statutory early settlement figures’ and settle the amount in a single sum, excluding interest and arrears, determined as at the date of death. Permanent Disability – An amount equal to the Outstanding Liability. Temporary Disability – Amounts equal to your loan instalment, whilst you remain temporarily disabled as defined. This benefit will be paid for a maximum of 3 months. Dread Disease – The outstanding liability if you suffer from any of the catastrophes as listed in our policy wording. BikePlan CycleLife is there to protect you from those everyday misfortunes that can happen to anyone at anytime. You really cannot afford to be without BikePlan CycleLife. Get a quote today and view our policy wording for full benefits & exclusions.